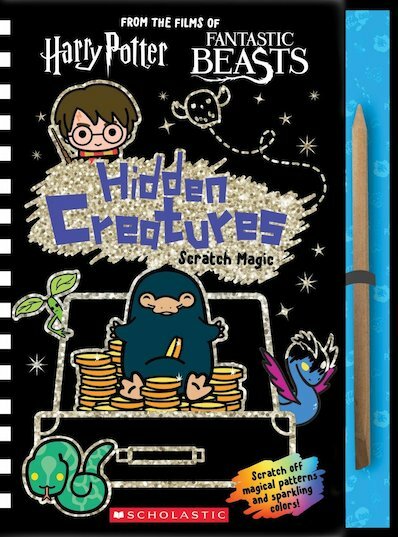 This Wizarding World scratch art book is full of activities to unleash your imagination! Reveal what beasts Newt Scamander keeps in his suitcase, draw what a dragon could be guarding inside your own Gringotts vault, and find the Basilisk that is slithering around Hogwarts undetected! Including magical creatures from both the Harry Potter and Fantastic Beasts films.